We have all been on a team with people we dislike; those who do not pull their weight, those who never show up to team meetings and those who simply refuse to delegate. What, then, is the equation for the perfect team; the recipe that most homogeneously combines talent, direction, innovation and leadership such that what comes out of the oven is cohesive, inspirational and fully baked? 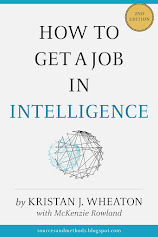 The best, single, all around resource for this kind of advice is, of course, Richard Hackman's Collaborative Intelligence (One of the top 5 books every intel professional should read but has probably never heard of). Beyond Hackman is the kind of research developed by the University of Melbourne's Dr. Fiona Fidler and recently presented by George Mason's Dr. Charles Twardy at the Global Intelligence Forum on how to make decisions in groups. Both SciBlog's 10 Keys to Building Great Teams and Inc.com's follow-on 3 Scientific Secrets to Great Team Chemistry agree that balancing the social skills of a group is a key element of team success. The 2010 ScienceMag article features an interesting study Evidence for a Collective Intelligence Factor in the Performance of Human Groups in which researchers found that it is not the average intelligence of group members that most closely correlates with group performance, but social skills. Within a group dynamic, social skills influence group communication, tasking, constructive criticism, feedback and flexibility, so it is really no wonder it is a better predictor of group success. The study tested 699 participants over the course of two experiments with the ultimate conclusion that a) Group collective intelligence is a phenomenon that exists (which the researchers call "c") and b) The average intelligence of group members is not significantly correlated with c (r = 0.19, ns). When working individually, intelligence is a predictor of success (r = 0.33, p<0.01); within a group dynamic, however, c turned out to be a better predictor of group success that individual intelligence. More telling still is that statistically significant correlates of c were found to be "social sensitivity" (r = 0.26, p<0.01), more participation and conversational turn-taking and the number of "females in the group" (r = .23, p<0.01). In other words, social skills are a better predictor of team success than intelligence. This final finding from the ScienceMag article ties team-building recommendation #2 back to the first. Females conclusively score higher on social skills assessments than males, signifying that the easiest way to improve the collective social skills ability of a team is to have an equal balance of male and female team members. Several studies also find that mixed gender teams tend to outperform all-male or all-female teams (such as this 2011 study and this report from Credit Suisse). The Harvard Business Review blog caveats social skills by indicating that "emotional intelligence" (EI) is "the biggest predictor of team success" (citing Emotional Intelligence and its Role in Collaboration). Their three-step program to ensure maximum EI within a team involves a) Becoming aware of each fellow team members' skills, b) Establishing structured ways to disagree and c) Taking the time to celebrate success. The first of the three-step process for promoting a team's emotional intelligence touches on an interesting point: Becoming aware of and capitalizing on team members' skills. While compiling a multi-disciplinary team creates challenges, it also provides distinct advantages. Team members that come from different backgrounds - Computer science, Linguistics, Intelligence, Anthropology, Sociology, Geography, etc. 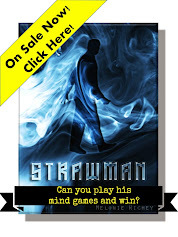 - come with different perspectives on issues and different approaches to problems. The multidimensionality this adds to the end product is indispensable. An interdisciplinary team, however, adds complications in terms of getting everyone on the same page. With everyone viewing the problem from a different vantage point, there will likely be discrepancies in team members' mental representations of the problem and what I call 'the lexicon polemic', i.e different names for the same concept between disciplines. Note: Bracken and Oughton do a good job of explaining the three ways in which language is important to interdisciplinary research. Both SciBlog and Inc.com propose to resolve this by "sharing the story," or combining the mental models of all team members. A glance over to pedagogical practice provides a technique ideal for achieving this. Nominal Group Technique (NGT) is a strategy that works as well in a classroom as it does as it does in a professional environment. Literature on teaching strategy has long since concluded that individual brainstorming is more effective than group brainstorming. NGT is an approach that requires team members to brainstorm solutions to a problem on an individual basis, record their solutions, then combine all solutions and group them according to similarity (the most salient solutions will, in effect, appear more frequently). This achieves two main purposes: 1. It aligns the group conceptually by revealing the overlap of key concepts between and among disciplines and 2. It aligns the group linguistically (resolving the lexicon polemic) by revealing the overlap of key vocabulary between and among disciplines. For example anchoring bias sounds a lot like what linguists call "semantic priming". This technique could help a group of linguists and analysts realize that they are actually talking about the same phenomenon but using different words. This seems like a fairly obvious step for a team to take (sometimes so obvious that each member assumes a mutual understanding of the goal and it is never explicitly discussed). I think it goes without saying that clearly stating what the end result of team collaboration should be is of inarguable importance to success. Beyond a mutual understanding of the goal among team members, Shteynberg and Galinsky show that "sharing intentionality leads to implicit coordination," meaning that those who explicitly share goals with others are more likely to instinctively act in the same way (actions that invariably trend towards achievement of the shared objective). Equally as important as defining the goal of the team, according to SciBlog's article, is specifying how it intends to get there (who is responsible for what, when and how). Clearly defining roles, expected contributions and individual deadlines for team members keeps the team on track and reduces collaborative ambiguity. Project management tools such as DropTask (which we have recently been using) can greatly assist in the process of tasking individual team members and managing deadlines (some are better than others, more professionally-focused, more academically-focused, more focused on budget management, more focused on timeline management, more visual). Finally, though seemingly the most hackneyed piece of advice for team building, project management and leadership within both professional and academic domains, communication is key! The comprehensive article Teamwork: Emerging Principles, highlights this facet of collaboration among many others. The best advice for effective communication is defining your communication space and contact points, whatever those may be. Weekly in-person meetings, an e-mail group where everyone gets CCed, a project management tool, Google Docs... it doesn't matter. Define your space and make sure everyone on the team knows how to communicate everything from criticism to congratulations.